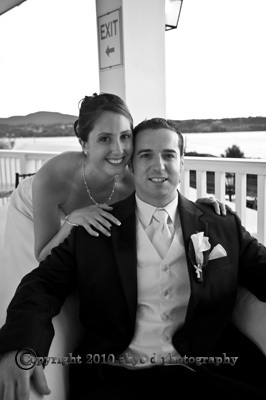 Nicole and Matt planned their Hudson Valley Wedding reception overlooking the Hudson River at The new Rhinecliff Hotel in northern Dutchess County. Being from the area, Nicole knew how beautiful the area was and I think it was an easy sell to her groom Matt. 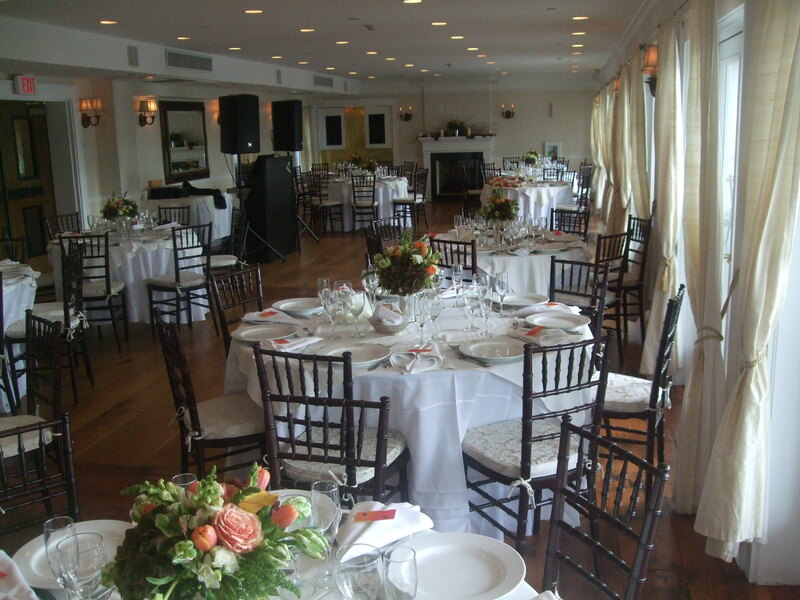 The newlyweds and their guests enjoyed their cocktail hour on the downstairs patio of The Rhinecliff and came up to the ballroom for dinner. The wedding party was introduced to “Wild at Heart” by Gloriana and Nicole and Matt danced together to “Into The Mystic” by Van Morrison. After a couple of toasts from the best man and maid of honor, everyone had a great diner prepared by chef Brain Kaywork, executive chef at The Rhinecliff. Throughout dinner I played music from the bride and groom’s pallet, mixture of country, indie-composers and some traditional jazz. The music for this part of the night was real important to the bride and groom. They wanted an eclectic music feel and a warm casual dining experience. The rest of the night though, was to be a part! Nicole and Matt wanted to party and dance the night away. They wanted fun music, lots of dancing and a non cheesy DJ. That is why they came my way. Nicole and Matt opened up the later part of the night with their parent dances and Matt and his mom danced to “Blackbird” by The Beatles and Nicole and her dad to “When you need me” by Bruce Springsteen. Nicole wanted to play a goof on her dad and come out of their dance to the chicken dance and that kicked off a night of non stop dancing! The dance floor was full all night and that is no joke. Dancing to all time favorites, classic rock, 80’s. The bridesmaids doing a dance to the King of Pop’s “The Way you Make me Feel”. Being their Hudson Valley wedding DJ at The Rhinecliff, was a real intimate wedding experience. I felt as though I came to know all of the guests there. It was a fun night to say the least. Thanks guys for having me be a part of your special day!